If you want a more unique look for your home with your new vinyl siding, dutch lap siding in Chicago may be what you’re looking for. With all the same features as double four siding, our dutch lap siding provides a different look with a decorative groove in the top of the board. 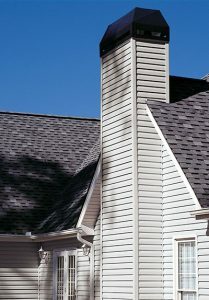 We offer many different colors of dutch lap vinyl siding for your home in Chicago. From adobe cream to autumn red, Feldco has a wide range of neutral and vibrant colors to choose from. Since the color is baked into the siding during manufacturing, you’ll never have to worry about repainting or staining again. Your dutch lap siding will always look new and beautiful. 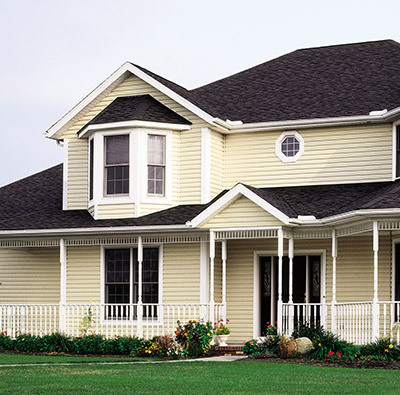 Feldco dutch lap vinyl siding offers premium energy efficiency for your Chicago home. Constructed with our ComfortWrap 365 vinyl siding backing system, your home will be wrapped tightly to ensure no air is escaping or entering your home unwillingly. With our dutch lap siding on your home, you’ll save money by not having to crank up the heat or air conditioning. Your home will remain a comfortable temperature year round without relying completely on your heating and cooling systems. Chicago is home to some of the harshest weather in the Midwest. With that in mind, Feldco has dutch lap vinyl siding that’ll never warp, crack, rot, shrink or swell. Extra thick panels and a fully rolled nail hem provide your home with superior protection from wind, rain, snow and hail. Since our dutch lap siding is so durable, maintenance is almost nonexistent. Your Chicago dutch lap siding will stay beautiful, giving your home excellent curb appeal. Feldco dutch lap siding is perfect for homeowners in Chicago who are looking for something to add a little extra flavor to their home. We also offer XL and XXL dutch lap siding to provide a cleaner look with fewer overlaps to offer a more attractive finish.